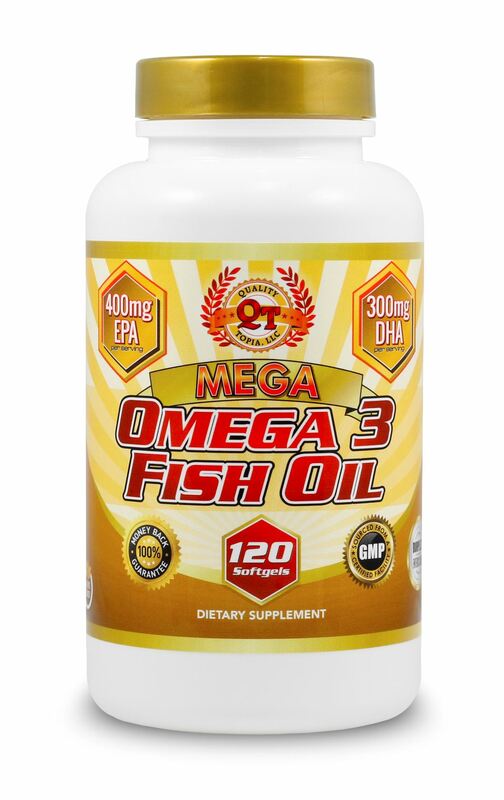 ✔ EFFECTIVE HEALTHY OMEGA 3 CAPSULES - Our Omega 3 Fish Oil has strength 1000 mg, 400 mg EPA, and 300 mg DHA with optimal potency. Try yours now RISK-FREE with our Money Back Guarantee. ✔ BOOSTS ENERGY AND REDUCES PAIN - Our Omega 3 capsules contains EPA that helps reduce inflammation in the body and organs. DHA is important for normal brain health and function. The Fish Oil also helps to reduce joint pain and it can help you go down in weight. ✔ GOOD ABSORPTION & TASTELESS - We made our capsules uniquely enteric coated to delay the release of the fish oil so your body absorbs more of the ingredients. Unlike other fish oils, you will not feel the fishy aftertaste or "fishy burps" after you took our capsule. ✔ GOOD VALUE & EASY TO TAKE - You get 120 capsules enough supply for 120 days, great right. The capsules are average sized and not hard to swallow. ✔ OUR PROMISE TO YOU - We got you and your wallet covered! Your purchase includes a hassle-free 60 days Money Back Guarantee! If you for ANY REASON do not like your Omega 3 Fish Oil, simply return it for a FULL REFUND. No questions asked.